A collection of 6 remixes and 3 previously unreleased compositions, this CD creates a pulsating energy link between such opposite musical cultures as Indian classical, Lounge and Trance. 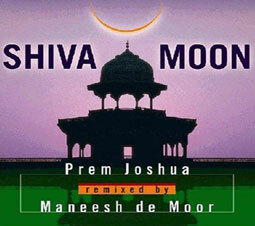 Maneesh de Moor’s intelligent remix brings something new to compositions by Prem Joshua adding danceable yet sensitive grooves and electronica arrangements that get you moving. Sandhya Sanjana joins with her deep and sultry vocals on “Darbari NYC,” “Tangerine Thumri,” and “Saffron Dreams.” Also featured is Manish Vyas on tabla.